Our Story - DatocWitten Group - Strategic Event Planning and Fundraising. Founders, Lisa Datoc and Barb Witten combine for a half-century of experience in strategic event production, fundraising, media and public relations. More importantly, Lisa Datoc and Barb Witten believe that challenge provides opportunity. Prior to founding DatocWitten Group, Inc. Barb and Lisa collaborated on projects for close to ten years. Lisa led event design, management, and production as the Chief Operating Officer of a large Capitol Hill firm while Barb spearheaded the company’s fundraising campaigns. Lisa and Barb are seasoned professionals, and they knew that building DatocWitten Group, Inc. from scratch would not be easy. 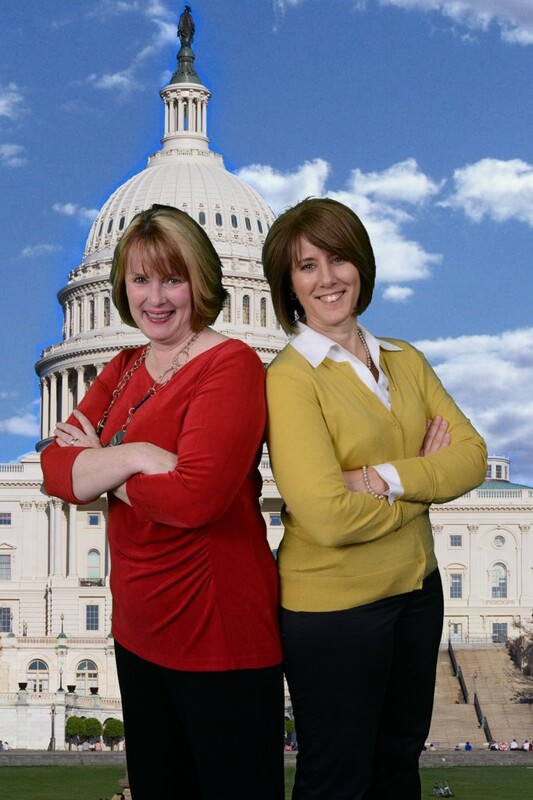 Driving a business is immensely challenging, especially in the uniquely competitive Washington D.C. market, but Lisa Datoc and Barb Witten were inspired by their belief that challenge provides opportunity.Year one was full of “opportunity.” The initial obstacle was to demonstrate that DatocWitten Group, Inc. could compete with bigger, well-established firms, while operating with less manpower and physical resources. They managed to do the impossible – produce high quality events, execute fruitful fundraising campaigns, and provide efficacious media and public relations services – all without the luxury office space, overhead, and numerous support staff utilized by their competition. Their first two events were scheduled for consecutive days. With only a handful of employees hired to staff the events, Lisa and Barb worked 24 hours a day, seven days a week for months. The duo singlehandedly juggled every logistical detail, ranging from pitch to production. Despite the stress, they seamlessly executed both events and exceeded the clients’ fundraising goals. Given the successful results Barb and Lisa manufactured during their first year, their efforts in year two naturally progressed to pursuing and renewing clients. By the third year of operations, DatocWitten Group, Inc. ’s focus shifted to growth. Lisa and Barb’s effort proved worthwhile, as year three led to an increased client base and expansion into different markets and industries. DatocWitten Group, Inc. has come a long way since 2009. While they have recruited and nurtured a team of highly skilled, dedicated senior professionals, the firm’s principals are still committed to taking the lead on each and every project. When you choose DatocWitten Group, we guarantee you’ll be working with Lisa Datoc and Barb Witten. Barb and Lisa joke about being married to their clients. At DatocWitten Group you can expect us to live and breathe clients’ missions. We wake up every morning, grateful for opportunities to use our skills and talents to help make a difference. It isn’t always easy, but at DatocWitten Group, Inc. we’re inspired by the belief that challenge provides opportunity.